For this year's SSD performance evaluation, we look at the newest SSDs from the 120 GB, 240 GB, and 480 GB categories. 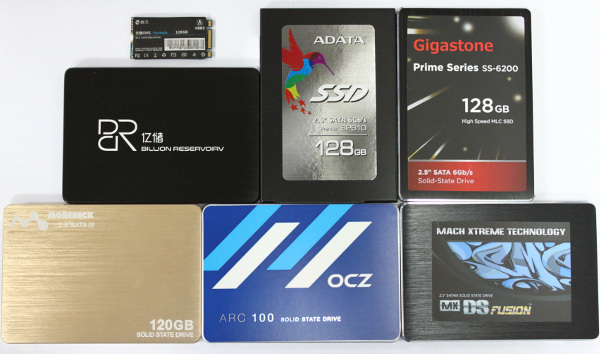 The table below lists all of the 120 GB SSDs that have been tested so far. The SP610 from ADATA, which uses the SM1 controller IC chip from the popular SMI2246EM series and features MLC-based NAND Flash, comes with a total capacity of 128 GB. 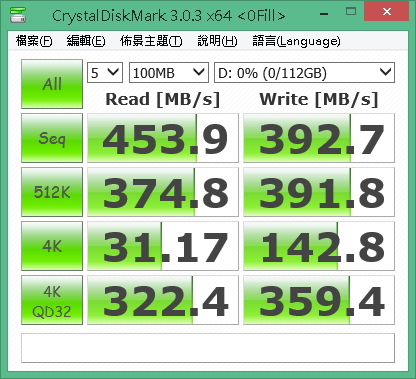 During testing, the SSD's highest read and write speeds were 493.22MB/s and 135.03MB/s, respectively. ADATA's SP610 showed relatively stable read speeds under the AS SSD benchmark, but its write speeds fell short of expectations. 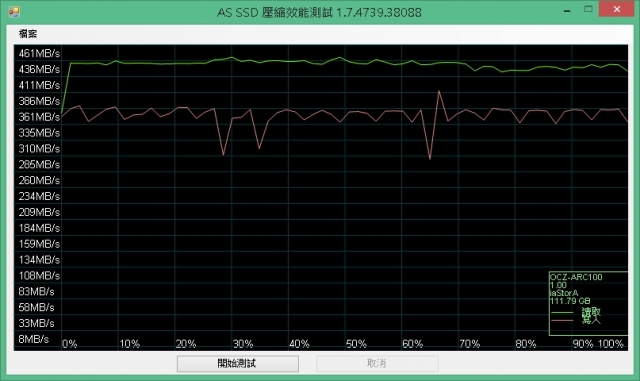 Its AS SSD benchmark score, on the whole, was 739. When tested with Anvil’s Storage Utilities under uncompressed mode, the SP610 fared relatively well, earning a score of over 3000 in the 1GB category. In CrystalDiskMark, SP610's benchmark scores were largely similar to those from the AS SSD test. However, its read performances under CDM were slightly better. Aside from the 1024 category, SP610’s scores in the 512K, 4K, and 4K QD32 categories were all within normal range. Chuangjiu Technology's GM1 128GB uses the SM1 controller chip and MLC NAND Flash memory, and features a new and improved M.2 interface from Intel. In the AS SSD test, the desktop version of GM1 performed well and ended with an overall score of 858. The M.2 interface is one of the main reasons behind the impressive score. When tested under the uncompressed mode of Anvil’s Storage Utilities, GM1’s IOPS performance and read and write speeds were all relatively impressive, enabling its overall score to reach close to 3700. 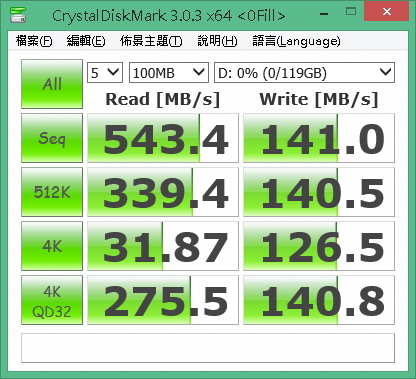 GM1's score in the 4K QD32 category from CrystalDiskMark was slightly better than average when compared to the other SSDs tested. Its sequential read and write speeds were noteworthy as well, reaching over 500 MB/s and 200 MB/s, respectively. The SSD model from YICHU that we tested was the 128GB BR 120G. The SSD features a SMI2246EN controller IC chip and MLC-based NAND Flash. Under the AS SSD benchmark, BR 120G's read and write speeds were both above average, and its final score, at 1010, was better than expected. The SSD from the Shenzhen based company performed equally well with Anvil's Storage Utilities, earning a score of over 4500. Despite using the same SMI2245EN IC chip as some of the other SSDs tested, the BR 120G was able to earn a much higher score with the CDM benchmark test, thanks to its use of a much more efficient NAND Flash component. Gigastone this year sent its 128GB Prime Series SS-6200, which features the same SMI2246EN controller IC chip as the other tested SSDs and Micron and Intel's NAND Flash chip. In the AS SSD diagram, the curve movements for the SS-6200’s reading speeds were mostly stable despite the slight fluctuations spotted near the beginning. 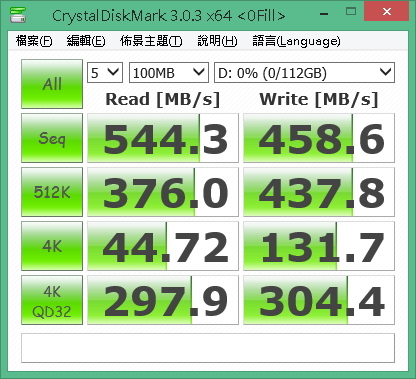 The SSD’s writing speed, likewise, remained steady from start to finish. By the end of the test, Gigastone’s 128GB SSD ended with a better than average score of 850. Gigastone’s SSD was able to perform similarly well with Anvil’s Storage Utilities, earning a score of over 3600. Under the CrystalDiskMark test, the SS-6200’s sequential reading speeds were able to reach as high as 545 MB/s, while its average writing speeds reached close to 180 MB/s. In the 4K QD32 test, the SS-6200’s writing performance did not drop as quickly as expected. The SSD from Mach Xtreme that was tested this year was the company's 128 GB DS Fusion SSD. It is the only product among the tested 120 GB SSDs to feature SLC-based NAND Flash memory. Under the AS SSD test, both SD Fusions' read and write speeds appear to be relatively impressive, as can be seen in the graph. Its score of 1061 is currently the highest among all the SSDs tested. 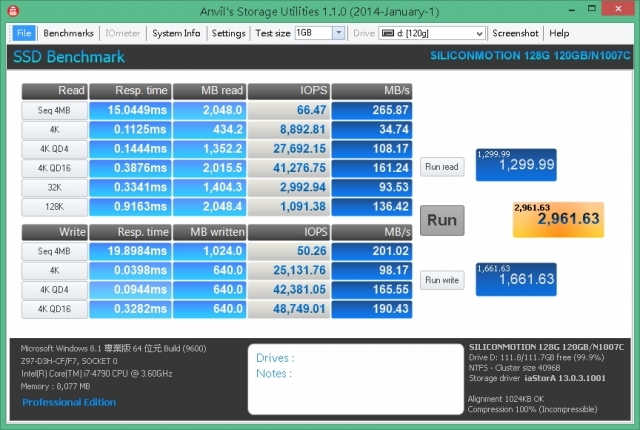 When tested with Anvil's Storage Utilities, DS Fusion's 128GB SSD impressed once again, with a score exceeding 4500. Under the CDM test, the DS Fusion 128GB SSD showed a mostly steady performance, and its speeds in the Sequential category were mostly above expectations. The 128 GB SSD sent by Morebeck was the 120G model. Like many of the SSDs tested, 120G features a controller IC chip from SMI. Under the AS SSD test, Morebeck's SSD managed to perform relatively well with the writing tasks, but its reading speeds for the most part were unimpressive. Its overall score, thus, ended at 659. 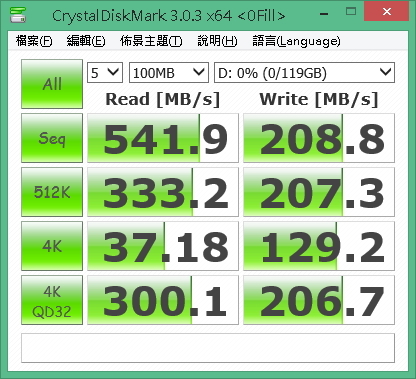 When tested with the CrystalDiskMark test, the 120G showed reasonably strong writing speeds, and its performance in the 4K QD32 test category was better than expected. OCZ is a brand favored and sought after by tech enthusiasts and general consumers alike. This year, the company sent us its ARC 100 SSD, which features 120GB of storage and uses OCZ's Barefoot 3 M10 controller IC solution. The SSD also features Toshiba's A19 MLC NAND Flash chip. In the AS SSD test, OCZ’s ARC 100 showed an impressive score of 1032. 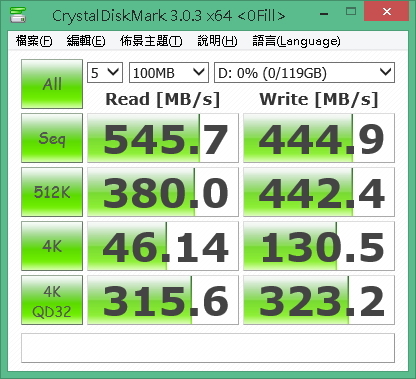 Its read and write speeds, which were extremely fast under the 4K test, were much better than those of the other SSD brands. 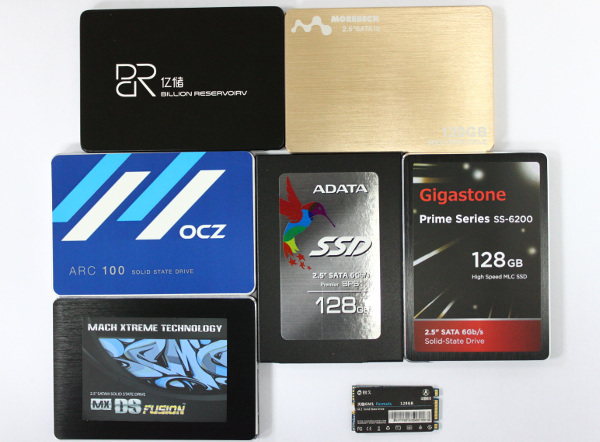 OCZ’s SSD managed to top many of the other SSD brands under this benchmark test with a total score of 4100. Under the CDM test, OCZ's sequential reading speeds didn’t manage to reach 500MB/s, but they were still impressive nonetheless. Its writing speeds, likewise, were stronger than expected. 120GB SSDs are generally suitable for entry level users and computing devices like Notebooks and Desktops. They are also good for system products, and can be equipped with additional hard disk drives to help save costs. Of all the 120 GB SSDs tested, the DS Fusion and OCZ ARC 100 showed the highest performance speeds and scores. 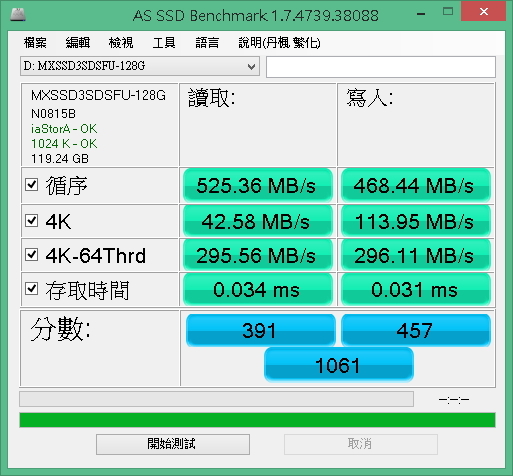 DS Fusion's score shouldn’t be too surprising given its use of SLC-based NAND Flash. OCZ's ARC 100, which uses MLC based NAND Flash, is also ideal due to its stability. YICHU’s BR 120G and Chuangjiu’s GM1 have the best overall CP value compared to the other SSDs, as both are able to strike a proper balance between price and performance. As the GM1 uses the new M.2 interface, users are advised to check whether their PCs can support such a format.